“Invasive Weeds” are non-native plants that crowd our native and desirable species important to Warm Springs People and Wildlife. Dalmatian Toadflax is strongly competitive with shallow rooted perennials and winter annuals. It causes negative impacts in pastures, rangelands and natural areas. It spreads by horizontal or creeping rootstocks as well as by seed. Hand pulling or digging can control small patches and result in eradication if done consistently for 5-6 years. Effective biocontrol agents are available that assist in control. 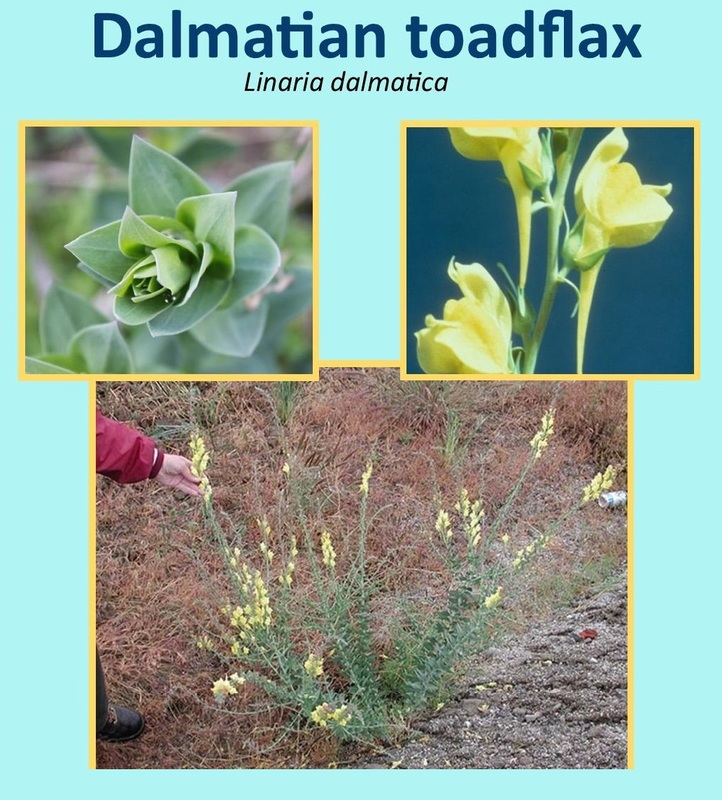 This entry was posted in Community and tagged Dalmatian Toadflax, Invasive Weeds, Warm Springs.